Once GPS tracking device “Laipac” is installed there is no need to worry about vehicle, family member or pet location. Information about object's position is recorded into tracking unit so results are available to see periodically on a screen. 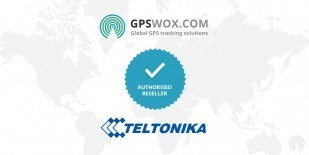 We form wide GPS trackers assortment that You can find online. Laipac GPS Tracker devices support GPS Tracking Software provided by GPSWOX. Do not wait and get your own Laipac GPS Tracker device which support GPS Tracking Software.